I'm back from vacation with more mens footwear hotness for you to cop. 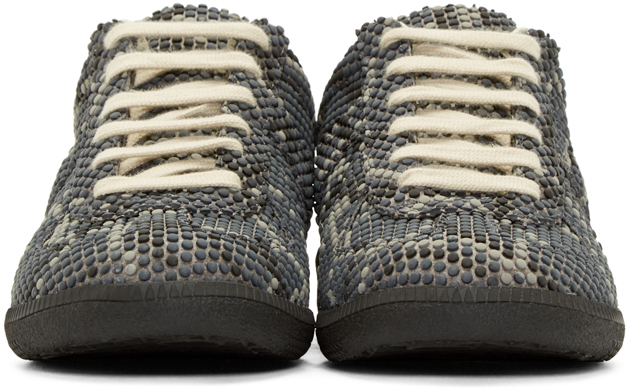 Maison Martin Margiela's latest remix of their famed Replica Sneaker slithers in with this Grey Snake update. 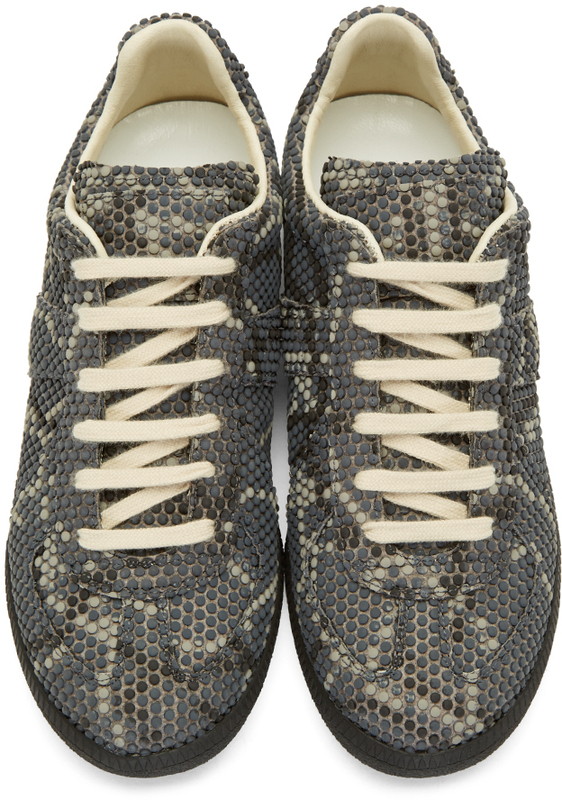 The upper consists of suede multicolored dots that create a faux snakeskin pattern. The effect is unique and cool to take from summer into fall. Anchored by the sturdy black rubber sole and these can look just as cool with cuffed cropped slacks or ratty inky denim. Available now at Sense.com.